When it comes to endurance sports, Steve has established a reputation in the Charlotte area for his ability to help the athletes reach their potential. 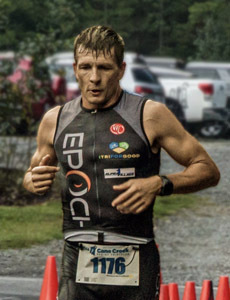 He has competed in all ranges of triathlons, including the Ironman World Championships in Hawaii, as well as endurance running events, and the Eco Challenge Primal Quest. With his experience in the military, Steve has developed a coaching style with structure and accuracy, and has infused his unique ability to motivate and inspire each of his athletes. He plans, adapts, and accommodates training plans for athletes that help them achieve beyond what they thought was possible. Steve is completely invested in the athletes he coaches.